CIG would like to welcome our newest client, Lyft! You may know that they’re a transportation company on the cutting edge of the ride-sharing economy, but did you know that they have a long list of programs that do good in Colorado communities? Needless to say, we’re very excited to be working with this innovative company and help get the word out. What’s one example? Well, we recently helped Lyft launch its Ditch Your Car campaign — a partnership with RTD and Zipcar to encourage and incentivize people to give up their personal car for a month and rely solely on other forms of public and shared transit. After all, traffic isn’t going to get rid of itself, and old habits die hard. 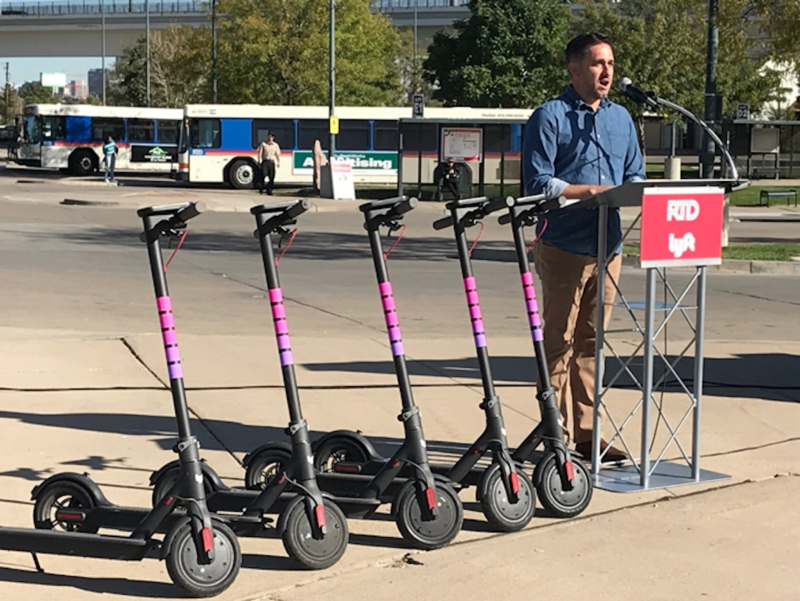 The campaign launch press conference included Lyft cars, RTD trains and buses, Lyft scooters — and, ultimately, lots of major media and plenty of coverage across the Denver-metro area! CIG is really looking forward to working with Lyft — this national company is firmly rooted in Colorado and is implementing new programs year-round that we can stand behind as an agency and as people. Happy to be along for the ride! A representative from Lyft speaks during the campaign launch press conference. The launch showcased Lyft cars, RTD trains and buses and Lyft scooters.